GEMI, a global leader in developing insights, networking and creating collaborative sustainability solutions for business just released a case study highlighting the collaboration between Ciena and EcoVadis. With companies increasingly seeking ways to better understand the sustainability performance of their suppliers, GEMI believes there is strong potential to enhance coordination across efforts. They are convinced that data can drive action while reducing the burden of both buyer and supplier across industries. 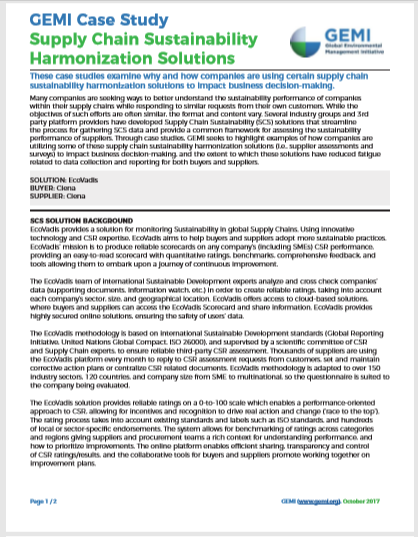 Through case studies, GEMI seeks to show how companies are utilising supply chain sustainability harmonisation solutions to impact business decision-making. In this case study, they demonstrate how Ciena, a United States-based global supplier in the Information and Communication Technology (ICT) sector works with EcoVadis. In the role of both the supplier and the buyer, Ciena uses EcoVadis’ platform to enhance their supplier evaluation process. Download the case study to learn about the experience of Ciena and how EcoVadis can help you in achieving your sustainability goals. 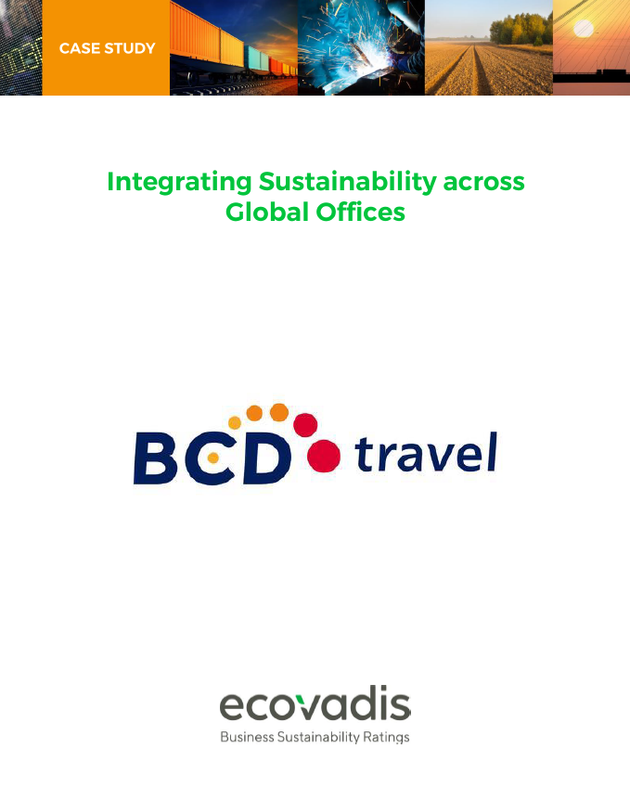 Through constant and steady EcoVadis assessments, BCD Travel gained the tools to increase their CSR performance beyond the ‘’go-green’’ concept. Learn how. 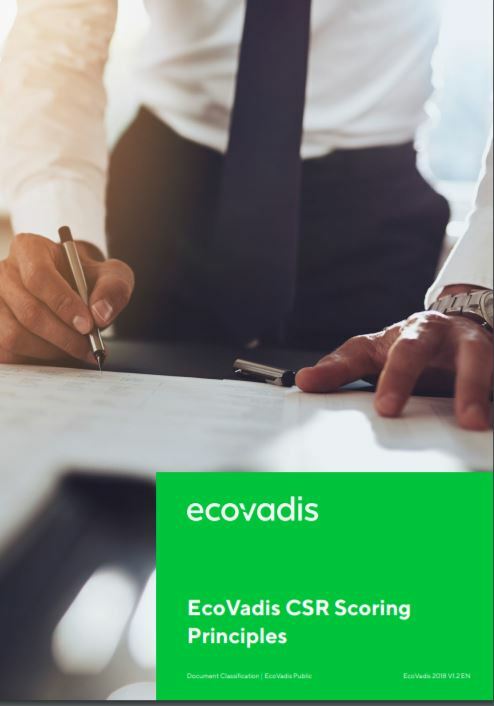 This in-depth report explains the methodology principles and scoring principles which are used to produce the EcoVadis scorecards.